London, the capital and most popular city in England and the United Kingdom is situated on the Thames River in the southeastern sector of the island of Great Britain. Contributing to its prominence as a world leading destination experience, London proudly boasts a diverse palate all at your disposal, encompassing arts, commerce, education, entertainment, fashion, finance, health care, media, professional services, tourism, and transport! 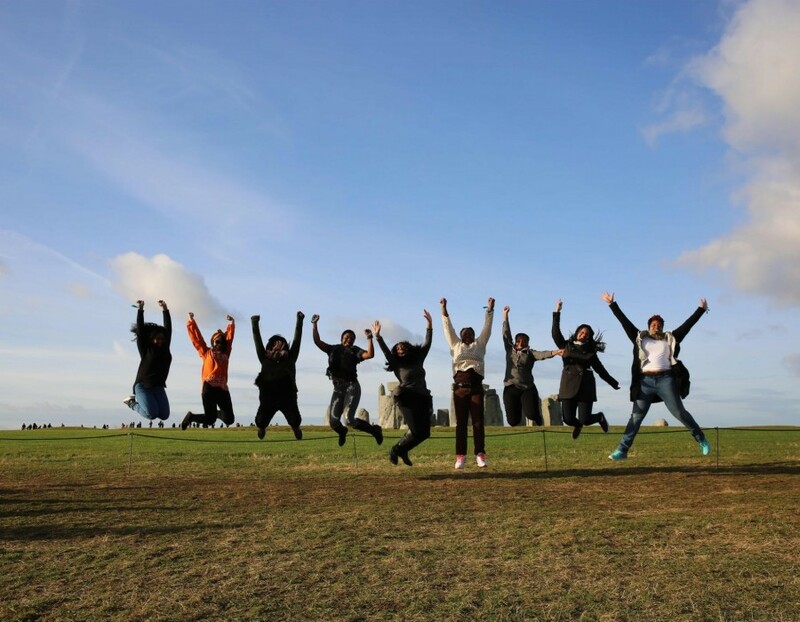 London embodies cultural and ethnical diversity with over 300 languages spoken in greater London on a day-to-day basis and it is continuing to grow. In part with the vibrancy of different cultures, the crown cultural jewels of London are the World Heritage Sites; Maritime Greenwich, The Palace of West Minister, The Royal Botanic Gardens at Kew, and The Tower of London. Intermixed within the city are the classic and modern wonders, Buckingham Palace, London Eye, Piccadilly Circus, Big Ben, Tower Bridge, Saint Paul Cathedral and Trafalgar Square. You’ll quickly dive straight into the hustle and bustle of the city upon your arrival. With London’s fast pace and diversified culture, it’s no wonder why New York is referenced when one thinks of this dynamic city. With 6 nights in a local premier hostel, situated minutes from River Thames, you will become as confident as the locals navigating through the streets of London. A day trip to Paris, Stonehenge, Windsor Castle, and the countryside of southwest England, Bath known for its natural hot springs and 18th century Georgian Architecture and the best Crepes the world has to offer at the real Italian Ice Cream Bar. LOCAL ADVISED ITINERARY . . . 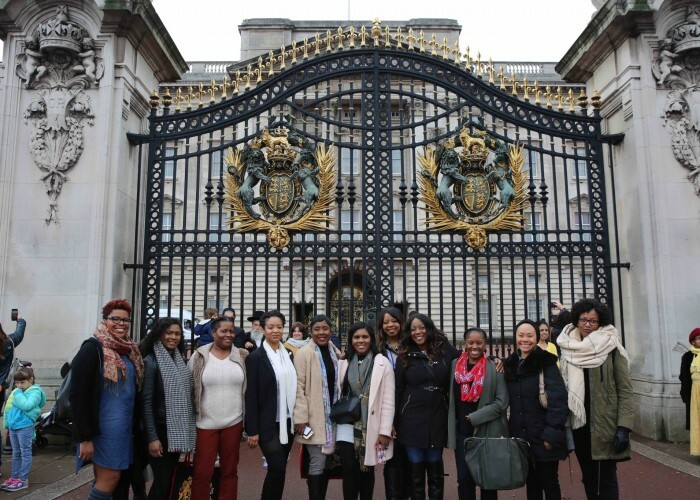 When you travel with Black Girls Travel Too, we offer the unique blend of both major attractions and off the beaten path experiences to ensure you a well-rounded experience in the city. THE ROYAL TREATMENT . . . We have mastered the art of customer care, with 24/7 online team member access before, during and after your travels with BGTT. From currency conversion to purchasing an Oyster card for the tube, we got you covered and will ensure you have an epic experience from start to finish. PROFESSIONAL PHOTOGRAPHER IN TOW . . . You heard us right, every day will be a photoshoot! You’ll be so immersed in the moment as we take the city, and professional photographs will allow you to relive the moment, time and time again. Daily, a digital link will be delivered to you with the previous day’s memories. Giving you the power to share on your favorite social media accounts as you please! INTIMATE GROUPS . . . We pride ourselves on offering small intimate tours to ensure each traveler a richer experience. Unlike large tour groups, traveling with a small group allows us more flexibility and to be less conspicuous for exploring with the locals. Inclusive Round Trip airport transfers from and to London Heathrow International Airport are included when you travel with Black Girls Travel Too. Hello stress free traveling! You followed our experiences that have spanned all corners of the world, you witnessed thousands of travelers grace our Instagram and other social media platforms, you pinned your life away on Pinterest planning the trip you work hard for and deserve, the desire to immerse yourself in a modern and classic culture has you up in arms with excitement, but there’s a hesitation. 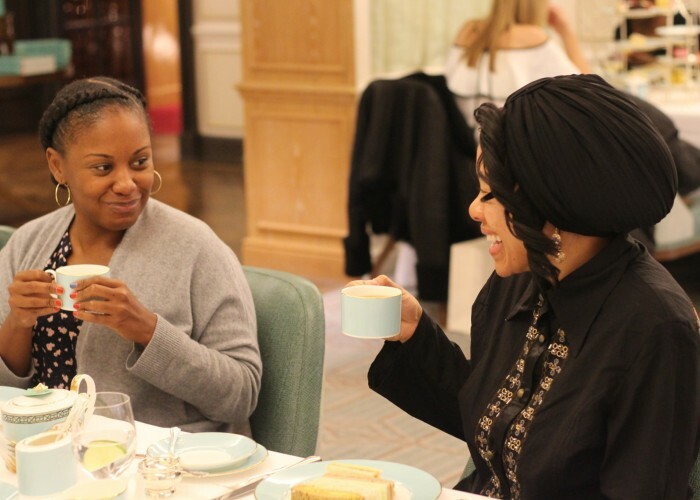 Arrive at Heathrow Airport, where you will be welcomed by our Black Girls Travel Too Ambassador and greet your fellow travelers for a full week of self-discovery and new experiences. Upon your arrival and check-in to your home away from home, the afternoon is yours to roam the trendy streets of London or hop on the tube to delve right into the London life. Later in the evening, we will gather together for an official meet and greet, a delectable welcome dinner, at one of London’s local restaurants. Rise and shine for a true traditional English breakfast. Londoners love nothing more than a hearty breakfast, which is what you’ll need to fuel you for the day ahead. After breakfast, prepare to discover and explore breathtaking beauty and history of royal London by bike, on our morning guided bike tour. Enjoy the landscape, as we cruise through some of London’s most famous parks and learn from our local tour guide, London’s rich history and contemporary culture. Hear Insightful commentary of colorful context from your local guide. After our tour the remainder of the day and evening is yours to relax, experience and enjoy! Feel free to venture out to see the London Eye or perhaps catch an amazing view of the Famous Big Ben. Wake up early for a venture outside of London to some of the most notable attractions the city has to offer. A day trip to Stonehenge, Windsor Castle, and the historic town of Bath. We will begin our tour at the architecturally appealing Windsor Castle, home of the British Royal Family for a tour of the prestigious State Apartment and St. George’s Chapel, furnished with some of the world’s finest art from the Royal Collection. Then we scurry west of London to Salisbury, home of the famous Stonehenge rock formations. Once in Bath, known for its elegant Georgian architecture and Roman Baths, enjoy a panoramic tour of the Georgian Baths. After your morning breakfast, feel free to venture out on your own. Enjoy the natural beauty of Hyde Park, experience life at the royal residence, Kensington Palace, or shop the world-renowned Oxford Street. If adventure is what you’re after, we encourage the Sherlock Homes Museum. Play detective at this fictional residence with a 3rd floor museum and shop an array of goods. The day is simply yours to enjoy as you please. Wake up early in the morning for a once in a lifetime Luxury Paris Day Trip. Travel by Eurostar train from central London railway, St. Pancras International. On arrival, experience a panoramic coach tour of Paris top monuments, landmark and attractions including the impressive main artery Champs-Élysées and opera house, Palais Garnier. Then, after soaking up the scene we converse over a glass of champagne and 2-course lunch at a chic Eiffel Tower restaurant. Rounding out our day, we can begin to unwind by enjoying a 1-hour Seine River cruise to discover the full splendor of the river banks and monuments of Paris, a guided visit to the historic monument Louvre monument or time to leisure. A Day of Exploring; After your morning breakfast, feel free to venture out on your own. Intermix in the city streets not as a tourist but as a local, referencing all you’ve learned from our adventures thus far. Finish up on any last-minute shopping, catch a show, with a fellow traveler in tow delight yourselves over a brunch or perhaps have London’s most famous dish for lunch, Fish N Chips at a local pub or experience High Tea as the Queen does at Fortnum & Mason. Later that evening, join us for our final night together, as we reflect during a river dinner cruise on River Thames of our time in this compelling city. Enjoy your final breakfast in London. After breakfast, wrap up any loose ends and indulge just one last time if you’d like as we begin to prepare for your airport departure by a private BGTT shuttle to Heathrow International Airport and bid your farewells to everyone. Can’t wait to see you on the next trip, Cheerio. Yes. In order to travel to London you must have a valid passport. How many blank passport pages do I need in order to travel to London and Paris? Currently you will need one blank passport page for England and one blank passport page for France. However, this requirement can change. Please reference the state department website by clicking here and navigating mid page to “Learn about your destination”. If you decide to cancel your trip with Black Girls Travel Too within 72 hours of your purchase, you will be entitled to a full refund for the trip package only. This refund will be reimbursed to you within 5-7 business days. This does not include flights as you would have purchased this through a third party. For this reason, we require that you all travelers must purchase traveler’s insurance that covers any payments made prior to your departure whether that be flights, tours or trip packages etc. In the event that you decide to cancel your trip beyond 72 hours, you will need to go through your selected travel insurance provider to claim a full reimbursement as you will not be eligible for a refund from Black Girls Travel Too. Are flights included in the purchase of the package? Flights are not included within the purchase of the London package. However, if you need assistance in selecting the best flight for you, feel free to contact us at support@blackgirlstraveltoo.com. What is the Pound conversion rate? The currency in England is the British Pound Sterling (GBP) also simply referred to as the pound (£). The pound is converted at the rate of £1.00 (GBP) to $1.22 (USD). How much spending money will I need while in London? You will need about $400 USD (around £330). However, if you wish to buy several gifts or are an enthusiastic shopping you should bring $800-1000 USD. What currency will I need for our Day trip to Paris, France? You should purchase your airfare as soon as you receive your London confirmation email. The arrival and departure airport is London Heathrow Airport, airport code (LHR). How will I commute from London Heathrow Airport to my accommodations? We provide complimentary roundtrip airport transfers in London. We will stay 7 days/6 nights in one of London’s top secure hostels situated 10 minutes away from central London. I really want to travel with your group, but I feel like I may be too young or too old. No worries at all! When it comes to travel age is nothing but a number. Our BGTT Experiencers range between the ages of 21-50. There has not been one time that a traveler felt awkward because of their age traveling with Black Girls Travel Too. Totally the opposite. We understand the importance of intimate groups. Our trips are designed for a more intimate and exclusive experience. You’ll receive access that you probably wouldn’t get with a larger group. This unique experience allows you to create a community amongst your fellow travelers. Giving you insider access that larger groups aren’t afforded.